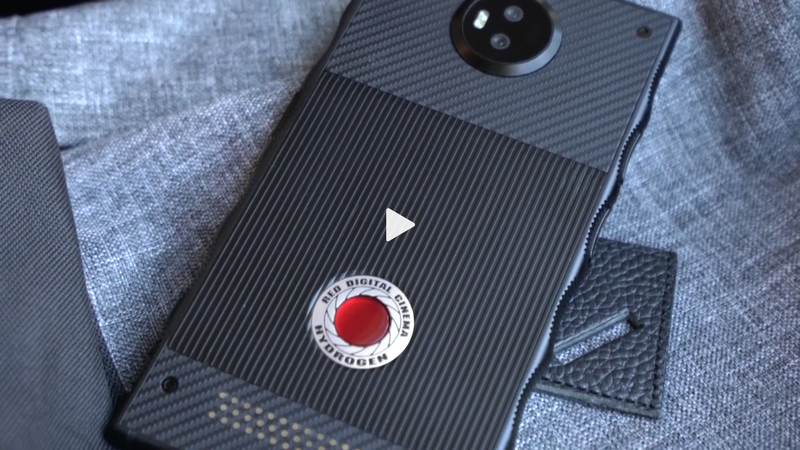 RED, the company based on manufacturing high-end super camera is testing the waters in smartphone Industry with its first phone said to have a holographic display, Hydrogen One. Holographic display has been a myth in the smartphone industry, but not anymore. Estar commercially produced Takee 1 which has 3D holographic display. Check it out here. There is a high possibility that big-brand smartphone companies will look into holographic display in 2019. Contrarily, what happens to in-display fingerprint sensor?. RED claims Hydrogen 1 will be a smartphone with Holographic display “you have not seen before”. A Youtuber, Brownlee did a hands-on review of Hydrogen prototypes and he gave quite satisfying information on what the phone would look like. He was given three prototypes. One with a finished body design but no holographic display yet, another with the holographic display functional. And the last one which he revealed had a camera module attached to the rear dual camera. He actually didn’t give enough information on the prototype with holographic display functioning. But he said the display was super cool. Hydrogen One in teaser photos has these notch grips on the sides and from the video, you’ll see power button on the right and volume controllers on the left. Behind the phone, dual rear camera and flash are places in a circular bump. The prototype with an attached rear camera module looks like a pro camera, although it made the phone bulky. Fingerprint sensor is embedded on the power button, which is understandable considering the size of the phone. Hydrogen one has a 5.5inch 3D holographic display and dual front facing speakers. Kevlar made top and bottom. USB-C and 3.55mm headphone jack resides at the bottom. The body of Hydrogen one is made of aluminium or titanium, depending on your choice. Hydrogen one cost $1000 plus. Pre-orders are still ongoing,while shipping commences in February probably.